Art collective BGL were commissioned to create an art installation at the intersection of a busy transit hub in the north end of Montreal. 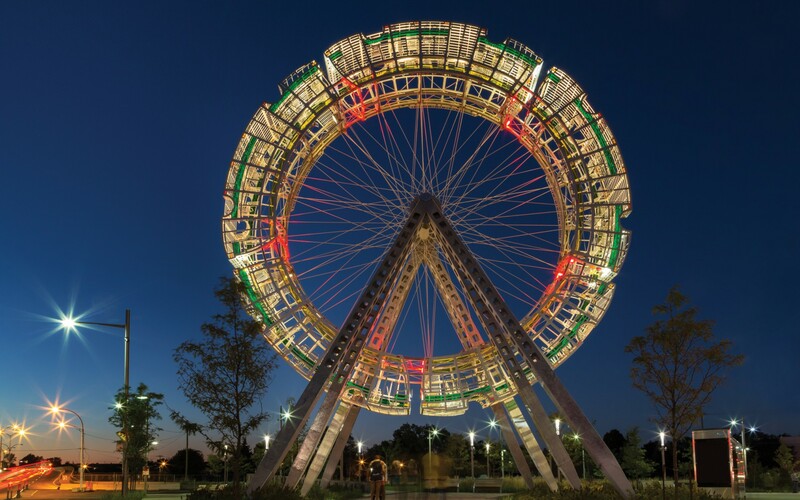 Paying homage to the area’s network of buses and parks, BGL created a 65-foot-high absurdist Ferris wheel out of metal bus frames. 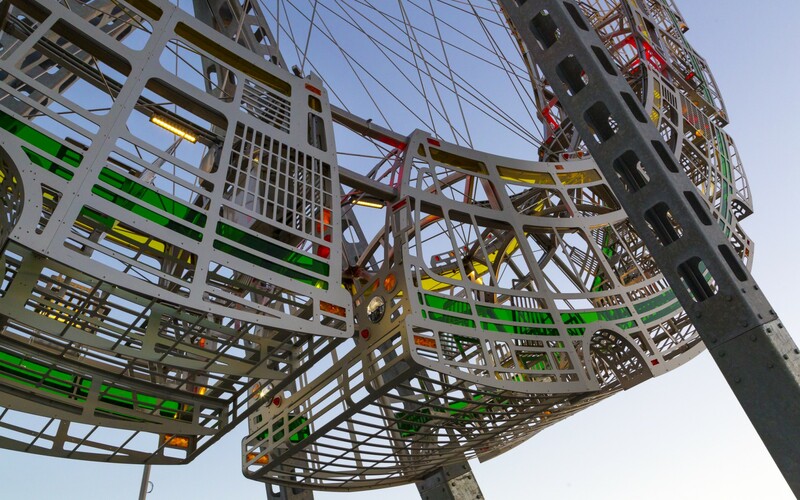 The artists turned to lighting designers Éclairage Public to give the structure a whimsical nighttime presence. 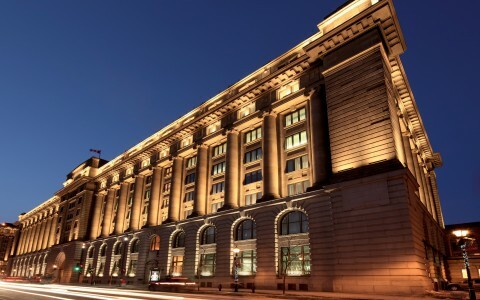 The firm chose Lumenfacade luminaires, which are installed along an interior ring. 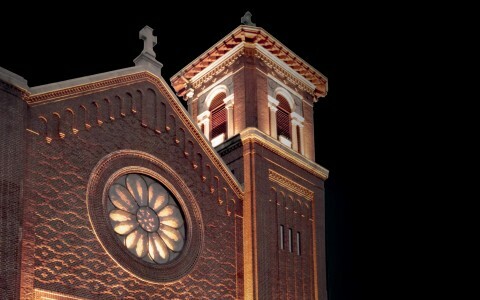 The luminaires use a 3000K color temperature with a 60x60 beam angle to illuminate as much of the structure as possible – without unnecessary glare. 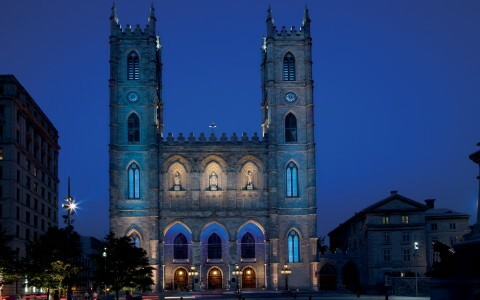 Lighting designers Éclairage Public used Lumenfacade luminaires at the Vélocité des lieux art installation, bringing the artistic vision to life with an inconspicuous lighting scheme. 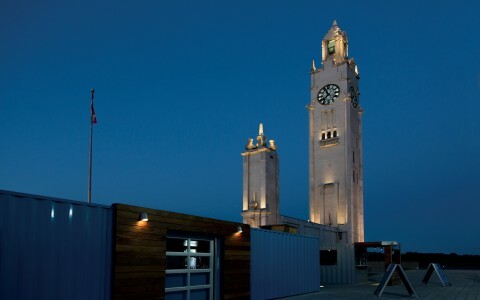 As part of a $40 million neighborhood development, Quebec art collective BGL were commissioned to create an art installation at the intersection of a busy transit hub in the north end of Montreal. 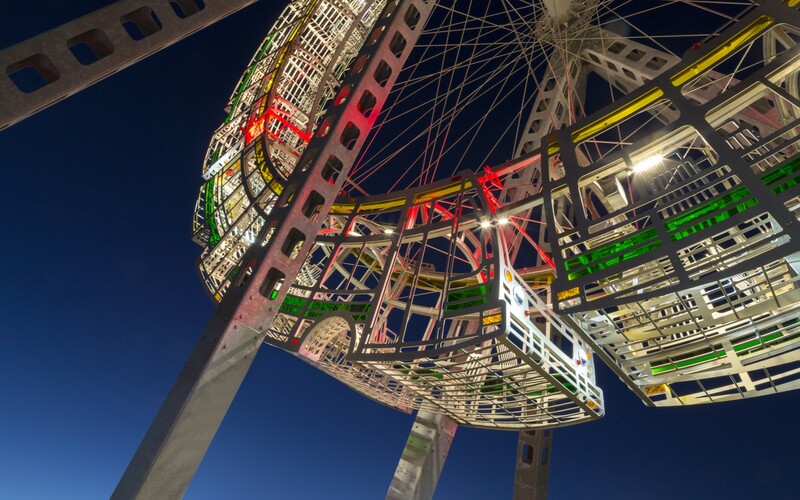 Paying homage to the area's network of buses and parks, BGL created a 65-foot-high absurdist Ferris wheel out of metal bus frames. "BGL's sensibilities lie in the production of works that fit into their environment, but still confront them in fun and thought-provoking ways," said Gilles Arpin, Principal at Éclairage Public. "In this case, their original idea was to recreate the interior lighting from buses lined up in "single file," but in a way that provided a fun diversion from reality," he said. 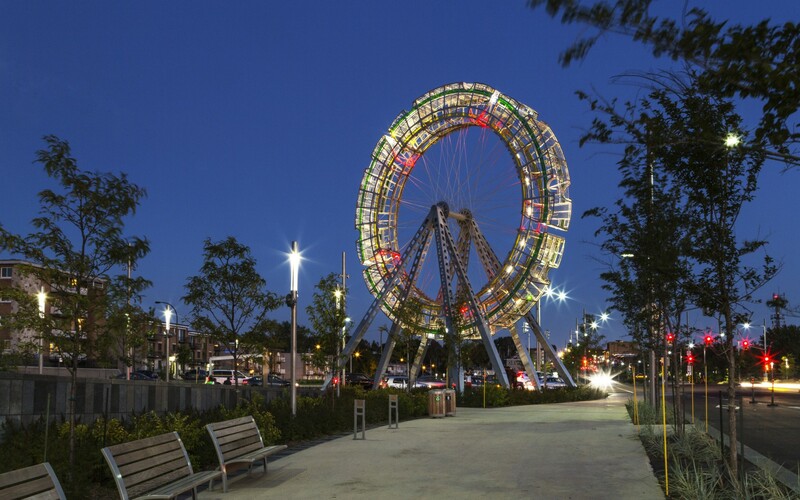 To accomplish this, Éclairage Public developed a subtle lighting scheme that would emphasize the materials and form of the wheel, while keeping the lighting sources hidden. "The headlights and taillights embedded in the work are used on actual buses. 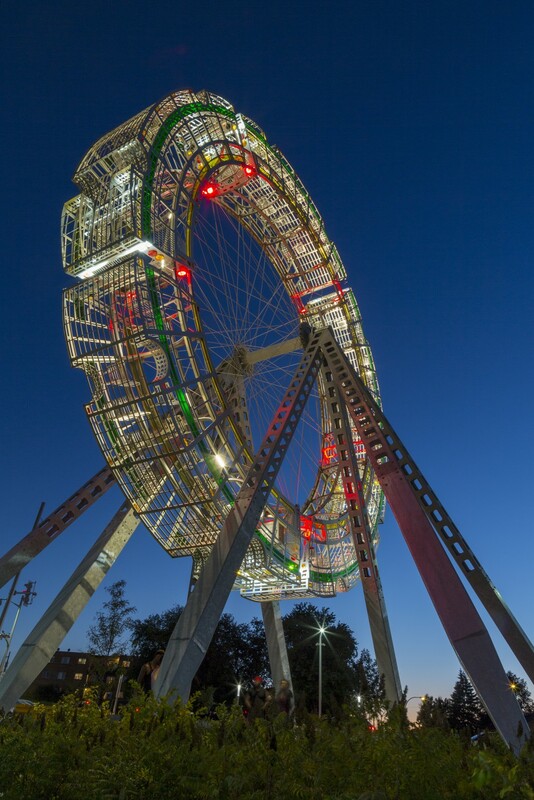 We were consulted about the position of these fixtures in the big wheel. 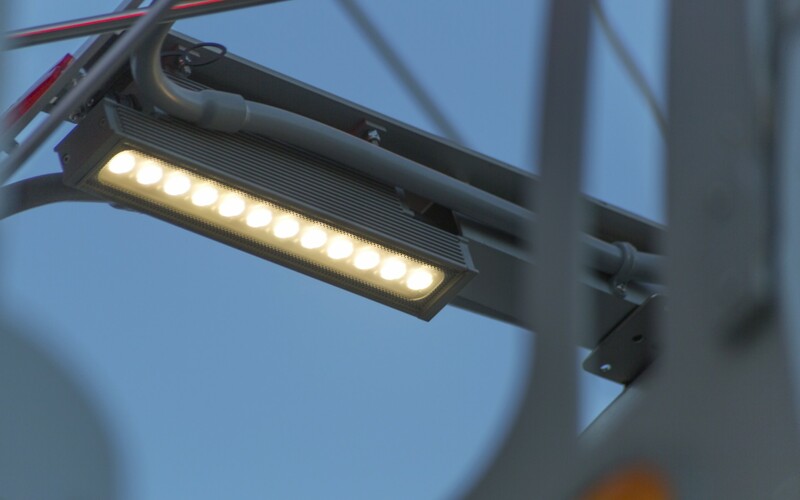 Given that there are no walls within the structure, there was some concern about them producing glare without contributing to the effect of an illuminated night bus. 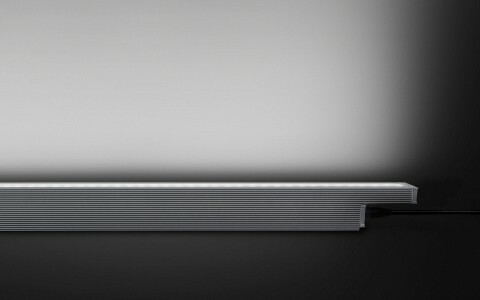 We suggested using the Lumenfacade luminaires, which are narrow linear fixtures. 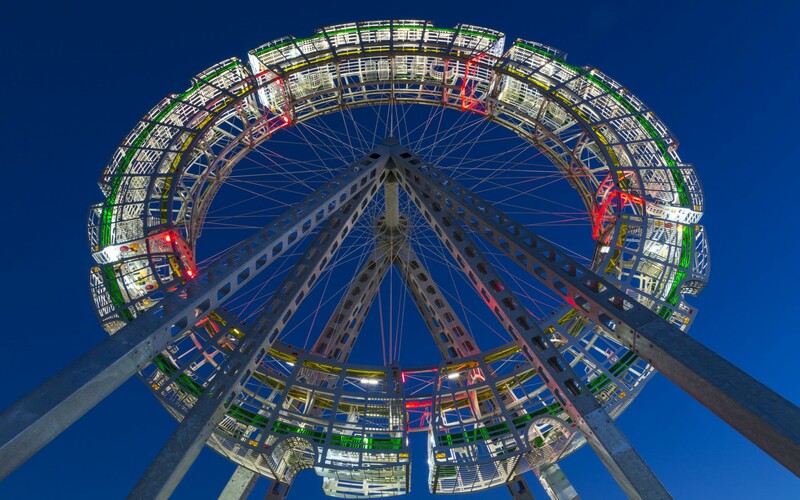 The light sources are therefore more discreet, allowing us to concentrate lighting within the wheel," Arpin said. 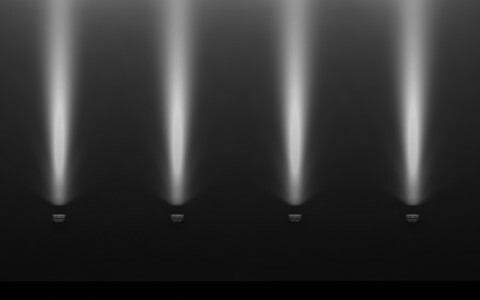 Installed along an interior ring, the luminaires use a warm 3000K color temperature with a wide 60x60 beam angle to illuminate as much of the structure as possible - without causing any unnecessary glare. 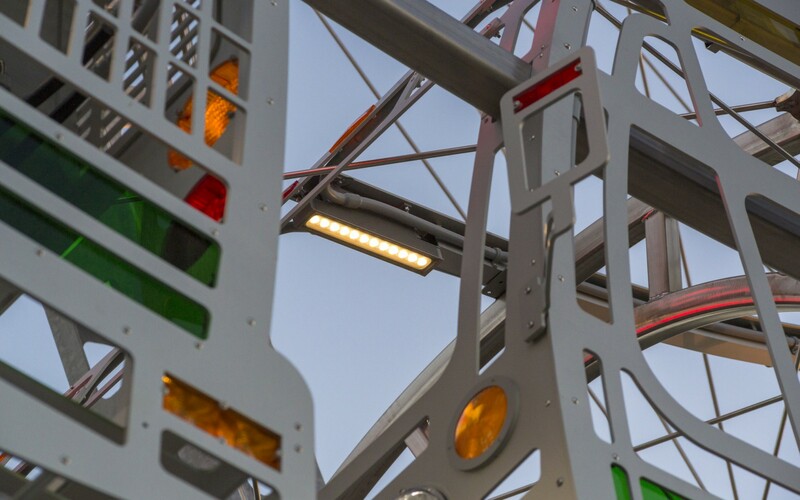 "The result meets BGL's criteria, producing a contre-jour effect that hints at the presence of "bus walls," while providing the installation with a truly monumental nighttime presence," Arpin said.